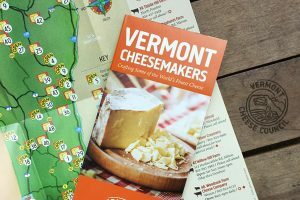 As seen on the web and social media, radical groups such as the Democratic Socialists of America and Antifa have active chapters in Vermont and are working to become part of the the body politic. Unlike mainstream political groups, these groups have shown a willingness to embrace aggressive protest tactics. In Vermont over the past two years, some acts of political aggression have included a death threat sent to Republican House candidate Deserae Morin, the 2017 student protest against “Bell Curve” author Charles Murray at Middlebury College, and the sabotage of the Judge Brett Cavanaugh Supreme Court hearings by protesters from Vermont. 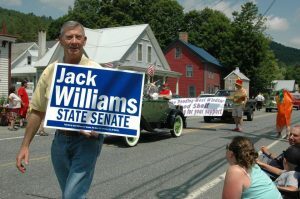 Such developments are troubling to Jack Williams, one of three Windsor County Republicans who will be on the ballot for state Senate in November. A Vietnam veteran and former U.S. Army Special Forces officer with past experience in the study of international leftist political groups, Williams is concerned about strident groups that go beyond civil protest to influence political outcomes. 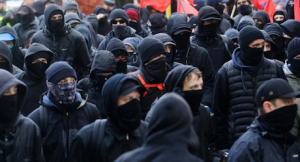 Williams points to Antifa’s black costumes and face masks, which he said are designed to intimidate and foster fear in the general public just as the violent paramilitary SA Brownshirts did in the streets of 1930s Germany. He also sees radicalism in mainstream groups that traditionally have been nonviolent but may now be embracing more aggressive tactics. Antifa protesters wear black costumes and face masks designed to intimidate and foster fear. H. Brooke Paige, a Republican candidate for secretary of state, was upset by the violent threat against Morin, of Colchester, who received a letter from someone claiming to be from the socialist political camp. “The liberal left seems to be losing its grip on civility,” Paige said. “Deserae Morin is an outspoken advocate for conservatism including support for gun owners’ rights — this by no means should make her the target for classic terrorist threats in the form of notes composed using cut-up snippets from magazines and newspapers looking like 1960s ransom demands. Republicans like Williams and Paige aren’t the only ones worried about radicalism creeping into Vermont’s left-wing politics. Independent-minded voters, such as David LaPlante of Springfield, also are alarmed over what they see. Ron Saunders, an independent voter from Windsor County, is concerned that young Vermonters are embracing socialism without any understanding of its connection to totalitarian regimes during the post-World War I era. 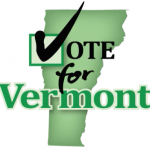 Another leftist group, called Rights & Democracy Vermont, has endorsed several Democratic candidates in Vermont. “We will be canvassing neighborhoods, knocking on doors, talking to voters, and handing out flyers as we work to elect Christine Hallquist as governor and re-elect Lt. Gov. David Zuckerman and Treasurer Beth Pearce,” Elise Greaves, Vermont RAD’s political engagement coordinator wrote in an Oct. 17 email letter to RAD members. The group’s preferred candidates are those who campaign on universal health care, paid family leave, a $15 minimum wage, prekindergarten education and green energy, among other far left issues. According to Greaves’ recent letter to activist RAD members, the group will be canvassing for the upcoming election in Addison, Chittenden, Franklin, and Rutland counties on Oct. 27. Our Revolution, Center for Popular Democracy, the Works Café, People’s Action, Vermont Network Against Domestic and Sexual Violence, Chelsea Green Publishing, Vermont Coalition for Disability Rights, Everyone’s Books, Three Penny Taproom, National Economic and Social Rights Initiative, First Step Print Shop, Rutland Area Branch of the NAACP, Green Energy Options, the Sustainability Project, Brewbaker’s Café, the Center for Media and Democracy/Channel 17,Orchard Hill Breadworks, Backporch Publishing, the Common Man, Majestic Car Rental, ACT for Social Justice, the Monadnock Food Coop, and the Elm City Compost Initiative. While Rights & Democracy has been transparent about its support of Vermont Democratic candidates this election cycle, the Democratic Socialists of America chapter in Burlington did not respond to TNR’s inquiry about its candidate endorsements. An official at the DSA headquarters in New York City said the national headquarters is not active in the Green Mountain State at the present time. 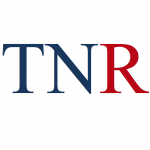 “We have no endorsements in Vermont in this election cycle,” DSA’s Lawrence Dreyfuss told TNR. Being that we are the party who believes in the second ammendment- what are you afraid of exactly? 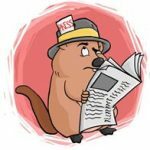 I believe this article was a one last attempt to revive the PR stunt that Deserae Morin may or may not have done to herself. When everything is about race we stand divided against ourselves instead of being united, there was a reason our pledge of allegiance was removed from the class room! Our enemies are working hard to tear down our way of life from within, now our young are taught to oppose racism by making everything about race, with little more than an accusation. The enemy is here among us, denying our youth the point of reference they need by removing a pledge that illustrates the difference between respect and accusation. The DEM/PROGS want to bring in more Muslims ( including to Vermont) to help them with their leftist DEEP STATE shenanigans. Exactly the opposite will happen. Just as that DEEP STATE lost by having Kavanaugh confirmed, so will they lose in November by overplaying the immigrant/gender/race issues. With the likes of Maxine Waters urging the folks to get in the faces of all Republicans, is anyone sutprised the the left nut fruit cakes take her seriously and revolt???? The hatred and indoctrination starts at a very young age. The big public education monopoly teaches the kids which way to vote (democrat) and the democrats make regulations and policy that favor the big public education monopoly. No room in the classroom for any other way of thinking. The CNN sheep are full of hate and self righteousness. Speaking of the NAACP, Guy, for an eye opener read Burgess Owens’ well researched book “Liberalism or how to turn good men into whiners, wheenies and whimps.” You will be surprised to learn that the NAACP was started by white atheist socialists/Marxists, as was Planned Parenthood. Today the NAACP, BET (Black Entertainment Television) and Planned Parenthood are still under the control of white leftists. Owens shoots down the $15/hour minimum wage and explains why it’s harmful to the poor, especially poor blacks. His explanation of the Democratic party’s destructive urban plantation is also worth the read. A descendant of slaves who rose to fame as an NFL SuperBowl champ, he’s man of G-D, fierce proponent for education and effective teacher, and a true gentleman. Burgess Owens is a role model for America!! Evidently a group for unfortunate uneducated people as the U S is a Constitutional Republic,Not Democracy. If it were a Democracy perhaps the pledge would read. Or The Battle Hymn of the Democracy rather than “The Battle Hymn of the Republic” . unless something has changed and I missed the boat the U S is not a Democracy rather A Republic. Sounds like a bunch of butthurt old white guys bitter about the changing world are looking for an easy scapegoat. “Leftists” and “Democrats” are the witches of the day… burn them!!! You sound a bit racist, the problems go much deeper than “old white guys” complaining. Mr Davis, how can you tell the color of someone’s skin by an online contribution? I understand you like to line your pockets from the wacko socialists democrat policies but this America and many of us enjoy being free. I guess the libs only believe in tolerance if you rubber stamp their looney ideas. Progressivism is a Utopian religion. To counter their doctrine at any point, although it is often radically inconsistent (politically motivated belief or contravention of the accuser) is to be demonized and attacked. The Berserk Left has gained political control of the Democrat party. They have gone full Fascist; the totalitarian centralization of a command and control economy (like Venezuela) is the goal they intend to achieve at whatever cost necessary by whatever means necessary. Ming the Merciless had nothing on them. The radical left-wing group I am most worried about is the Vermont Legislature. going to enjoy and it will happen !! They must think dressing in their ” black garb ” and covered faces is scary…….Boo Hoo !! it just shows they are cowards. Karma will get you ………………………..
Or they may run into some of old white men that have OCD. Old, cranky and dangerous. And people thought the 60s and 70s were bad. That’s just where these seeds got planted.